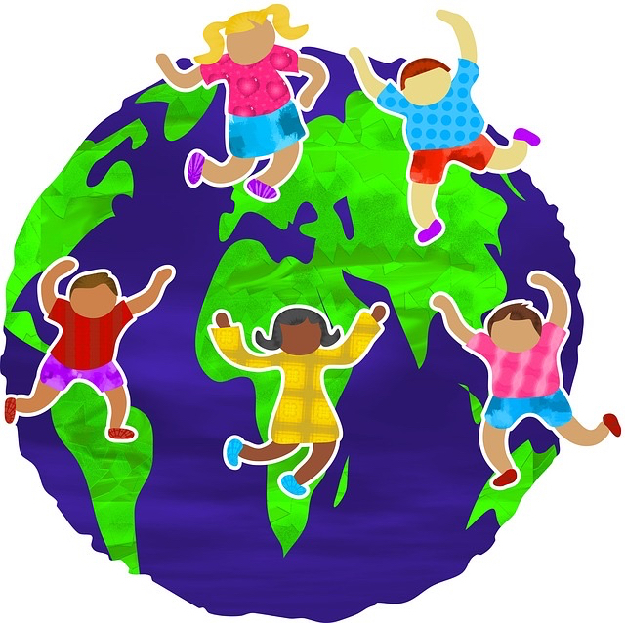 As I watched the video of the children singing and signing the words, and looked at the diversity of the group, I couldn’t help but think that this is how our world should be. People of all colors together, living in harmony. John Lennon’s song, Imagine, comes to mind, “… and the world will live as one.” Many are still working at being a human family, but we need more of Earth’s community to join in, sing the song, and make it happen. It is time. Thanks to the music teacher at The Croft School in Providence, RI for teaching my grandson and his classmates this song. She was helping in this small way to instill the idea of oneness and equality, and indirectly, through her teaching, care and concern for others in the world community. Imagine …. Children learn and become what they see and hear, so it’s ever so important that they see and hear the adults in their lives relating in positive ways, performing positive deeds, and treating each other with respect. What can we do each day to teach respect to our children? to show care and concern for others? to exhibit loving kindness? Give this some thought and do what you’re called to do with intention. Let’s all do our part in truly becoming one family under one sky.